Adapted from a presentation given to Spinal Cord Congress, Dallas, Texas, September 2009. The 19th century German philosopher Arthur Schopenhauer stated: “Every man takes the limits of his own vision for the limits of the world.” The purpose of this discussion is to provide an overview on why alternative medicine provides a different “vision for the limits of the world,” and by so doing, expands our healing spectrum. Given the alternative-medicine emphasis, it is important to note that professionally I am a product of the mainstream biomedical establishment. For example, my doctorate is in biochemistry and molecular biology; and I was a FDA regulatory official, a National Institutes of Health (NIH) division director, and director, Paralyzed Veterans of America’s (PVA) Spinal Cord Research and Education Foundations. As I began to review and study divergent healing concepts as a result of PVA funding, my strongly held beliefs on the supremacy of modern medical and scientific thinking began to crumble, and, as it did, I began to see a world of opportunity beyond the banks of the mainstream. In spite of the focus on alternative medicine, this talk does not try to negate modern medicine’s many valuable contributions, which cumulatively have greatly extended the life expectancy of individuals with disabilities. Most healing traditions have something valuable to offer yet, at the same time, have limitations in scope. Modern medicine emphasizes important pharmaceutical and surgical approaches; however, other healing traditions stress often equally valid, but different therapies that medicine has traditionally ignored (for example, until recently, nutrition). It is as if medicine looks at the world through red-tinted lenses, and other disciplines green, blue, or yellow lenses. Unless we work together more in unity than opposition, each discipline’s vision will remain inherently limited. However, if we open-mindedly accommodate divergent views of what is possible, we create an expanded healing spectrum that will benefit all. Traditionally, scientists downplay the importance of phenomena they can’t explain. However, if we learn anything from the lessons of history - such as the persecution of Galileo for proving that the Earth moves around the sun or the ridicule of Ignaz Semmelweis for audaciously suggesting that physicians wash their hands - it is that today’s state-of-the-art beliefs will be tomorrow’s anachronisms. One of my most personally powerful examples of this phenomenon involves Sir Hans Krebs, who was awarded the 1953 Nobel Prize for elucidating core biochemical pathways. As a fledging bi ochemist, I met Krebs. He showed a slide of a virtual form letter he had received from the prestigious journal Nature rejecting his seminal work for publication due to insufficient scientific merit. Today, as I write about therapies that frequently challenge today’s status-quo perspectives, I often reflect on Krebs’ rejection letter. If the father of modern biochemistry could be rejected by prestigious scientific authorities, I wonder what innovative, mankind-helping therapies we are rejecting today. 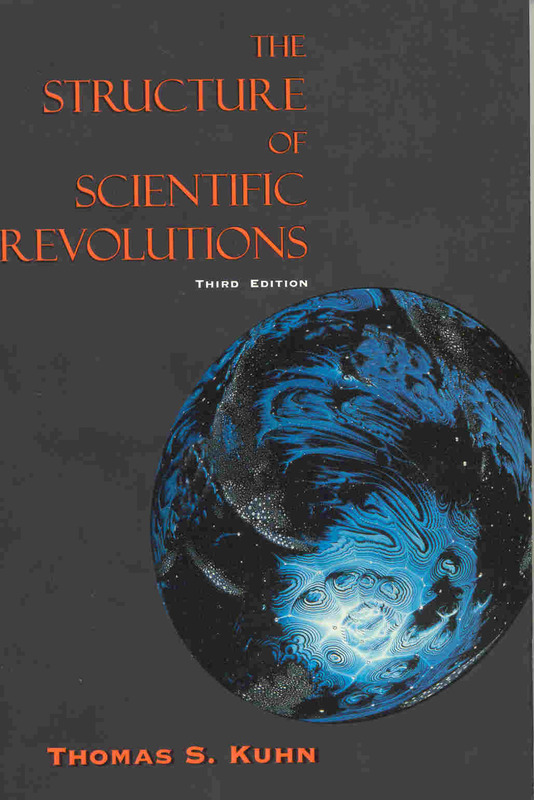 In the scientific classic The Structure of Scientific Revolutions, Thomas S. Kuhn emphasizes how quantum-leap breakthroughs are often made by scientists outside of the system who are not shackle d by the constraints of prevailing dogma. This can take shape in many forms, such as a junior scientist not yet ossified in his thinking, an investigator from a different discipline (a physicist doing biomedical research), and scientist from a country outside of the establishment. Although alternative therapies are often criticized for not being subjected to rigorous peer review, this process has generally been problematic for any approach innovative or outside of the mainstream. As a former NIH Division Director, I managed the scientific review of hundreds of millions of dollars of grant applications. Although many disorders desperately need innovative solutions, NIH’s peer-review prioritization process is generally not well suited to generate them. For example, if only 10% of applications can be funded, applicants are going to play it safe, developing proposals that won’t be too challenging to the peer-review committee’s prevailing scientific paradigms. NIH has always had problems funding innovative research. As a rough analogy, its peer-review process is like choosing a movie to rent as a consensus decision with your wife, family, and friends, all of whom have different priorities. To get everyone to concur in the choice will guarantee mediocrity, not inspiration. Finally, pioneering innovators throughout the world are frequently criticized because they haven’t published their work in peer-reviewed journals, but usually it is a frustrating, uphill struggle when they try. Though out my career, I’ve consistently seen some incredibly mediocre, so-what research published, while most quantum-leap-forward research that we need to know about is rejected. Clearly, mediocre endpoints that don’t push the envelope are more amenable to the scientific scrutiny required for publication than question-generating, innovative research. We need a publication mechanism by which the innovative, with all of its “warts,” can be better disseminated to other researchers who have the potential to provide further answers. As the power of the Internet further develops, professional journals, once the gatekeepers of knowledge, are going to be left in the dust as the masses simply walk around the gate. Senior astronomer Dr. Halton Arp has highlighted this problem: “The tradition of “peer review” of articles published in professional journals has degenerated into almost total censorship. Originally, a reviewer could help an author improve his article by pointing out errors in calculation, references, clarity, etc., but scientists, in their fervid attachment to their own theories, have now mostly used their selection as a referee to reject publication of any result that would unfavorable to their own personal commitment"
Are We Good World Citizens? Depending upon one’s viewpoint, alternative-medicine definitions can vary greatly. For example, in the U.S., acupuncture is an alternative therapy, but in China, it is traditional medicine. Facetiously, consumers define alternative medicine as therapies that they paid for out of their own pocket, but did not feel comfortable discussing with their physician. In contrast, physicians define it as quackery because it was not a part of their medical-school curriculum. Due to consumer demand for healthcare options, there has been incredible growth in alternative medicine. In an article published in the prestigious Journal of the American Medical Association (JAMA), Dr. David Eisenberg et al reported that 40% of Americans used alternative therapies in 1997. Between 1990 and 1997, visits to alternative practitioners jumped 47%. Over that period, Americans visited alternative providers 629 million times compared to 386 million visits to primary-care physicians. Ninety percent of alternative medicine users are self-referred; i.e., they are educating themselves and not relying on traditional medical authorities. More recently, a 2004 study undertaken by the Centers for Disease Control and Prevention (CDC) showed that nearly 2/3rds of adults have recently prayed for health or used some form of alternative medicine. Given that both spirituality and alternative medicine are eschewed by conventional allopathic medicine, these clearly indicate that the health desires of the majority of the public are at odds with the medical orthodoxy. What about Those with Disabilities? This grass-roots movement seems especially true for people with disabilities, even in spite of their traditional reliance on conventional healthcare. According to analyses of the 1999 National Health Interview Study (private communication & 8), they are using alternative medicine even more than able-bodied individuals. For example, adults with a disability are 1½ to 2 ½-times more likely to use prayer or spiritual healing for healthcare than adults without a disability. Although people with SCI have benefited greatly from modern medicine, like millions of other Americans, they are concerned about the adverse consequences of technology-based medicine and desire healthcare with a more holistic perspective. Modern medicine focuses on fixing the symptoms, often ignoring the underlying mind-body-and-spirit causes. Under the pretense of scientific objectivity and reductionism, medicine detaches itself from the patient’s uniqueness and operates by isolating and fixing the dysfunctional item in the absence of the big picture. In contrast many alternative-healing traditions have more of a holistic view that focuses on disease causes not merely symptoms. Because most illnesses have mind-body-and-spirit contributions, effective healthcare should consider all three. In spite of many breakthroughs, conventional medicine often has limited perspectives, especially when it comes to chronic-health issues. For example, although there is probably no more important factor to long-term health than nutrition, most medical schools do not require a course in nutrition. Former director of NIH’s Center for Complementary and Alternative Medicine, Dr Wayne Jonas summarized some of the reasons for the surge in popularity of alternative medicine, including “a rise in prevalence of chronic disease, an increase in public access to worldwide health information, reduced tolerance for paternalism, an increased sense of entitlement to a quality of life, declining faith that scientific breakthroughs will have relevance for the personal treatment of disease, and an increased interest in spiritualism.” He also notes that there is growing concern about the adverse effects and escalating costs of conventional care. Clearly, there is health-care train leaving the station, and if our policymakers don’t recognize this fact, they will be left behind in relevance. Almost two-million people who enter hospitals in this country get infections that they did not have when they went there. Of these, 80,000 die. According to the National Academy of Sciences, medical mistakes kill 44,000 to 98,000 people annually. Finally, studies suggest that hospital care in general rates as the third major killer in the country, following heart disease and cancer. These statistics are especially relevant to people with disabilities, who are often prone to overmedication, life-threatening infections, and more hospitalization. Acid stoppers (e.g., Prilosec) increase risk of broken bones by decreasing calcium and mineral absorption. Estrogen therapy doubles the odds of breast cancer. Osteoporosis drugs (e.g., Fosmax) associated with jawbone decay pain. Cancer-detecting CT scans cause cancer. Chemotherapy more toxic to neural stem cells than cancer cells. Commenting on these problems, the late newscaster Walter Cronkite noted: "America's health care system is neither healthy, caring, nor a system." As with all of life, you have to be careful of the criteria you use to condemn. Although it is true that many alternative therapies have not been well tested, the prevailing assumption that conventional medicine represents scientifically well-tested procedures is inaccurate. For example, the Congressional Office of Technology Assessment (as well as others) concluded that only 10-20% of conventional medicine techniques has been scientifically proven. Another time, Congress defined a quack as “Anyone who promotes medical schemes or remedies known to be false, or which are unproven, for a profit.” If you put these two conclusions together, logic dictates that most of medicine is quackery. This logical conclusion is obviously ridiculous, but it does raise the point that the criteria routinely used to condemn alternative medicine represent a double-edge sword. One key feature - often inherent in many ancient or Eastern-healing traditions - that characterizes many alternative-healing traditions is the concept of energy. Many scientists are beginning to explain energy concepts through an emerging mind-body discipline called psychoneuroimmunology. This is a long word for a simple idea: basically, your emotions, attitudes, and consciousness affect your physical health by releasing beneficial neurological agents, hormones, and immune-enhancing substances. An example of this is meditation, which produces profoundly beneficial physical effects. For example, meditators visit doctors half as much; have lower rates of cancer, heart disease, and substance abuse; and age more slowly. Although disciplines like psychoneuroimmunology are beginning to bridge the gap, historically, there has been huge philosophical difference between conventional medicine and energy-based healing traditions. Medicine’s mechanistic perspective assumes the body’s biochemistry is paramount, while the energy model believes that the biochemistry is subordinate to the body’s energy. As discussed by Dr. Roberta Trieschmann, conventional medicine assumes that physical health produces happiness and, therefore, considers that emotional reactions, meaning of life, and belief systems to be irrelevant to medicine. In the energy model, happiness leads to physical health, and, therefore, our beliefs, the meaning we attach to daily events and our emotional reaction to these events are crucial to health and well being. Many alternative-healing traditions emphasize the role of spirituality or consciousness. In contrast, modern medicine is based on a mechanistic view of the body. Under this view, the body represents a summation of individual parts (molecules, cells, organs, etc), and, as a result, must be healed by fixing the parts. Under such a model, spirituality or consciousness has no relevance to health. Our healthcare has been determined as much by economics, politics, and professional chauvinism as objective science. These factors have created the most costly healthcare system in the world, which, in spite of its expense, is not that good compared to other countries. For example, in a 13-country comparison study, the U.S. ranked an average of 12th (second from the bottom) for 16 health indicators. Given that many individuals with disablities are at the lower rung of the nation’s social-economic ladder, our costly, suboptimal healthcare disproportionately affects them, once again, suggesting the consideration of cheaper, less risky, and perhaps more effective alternatives. One key economic issue is the regulatory-approval process. Given the daunting economics needed to prove the safety and efficacy of any new treatment, few alternative therapies, regardless of merit, will survive the regulatory-testing gauntlet. Basically, we have adopted a regulatory process that only works well for patentable therapeutics with large markets and deep-pocket financial sponsors (e.g., drug companies). Given that it often costs hundreds of millions of dollars to carry out the testing needed to bring a new medicine to market, the market size for many disabilities, including SCI, does not justify the expenditure and effort from a profit-generating view. Because many generic alternatives cannot be patented, economic incentives are lacking. Physicians obtain most of their information on medicines from the profit-motivated, pharmaceutical industry. The majority of medical consultants that advise public-health agencies have financial conflicts of interest with the drug industry that their decisions profoundly influence. There is a strong association between authors’ published positions on drug safety and their financial relationship with drug companies. Drug advertising has increased a 1,000 fold in recent years. Drug companies spend an average of $13,000/year on each U.S. physician to market their products. Many alternative treatments have had a history of suppression by the allopathic medical establishment. For example, after acupuncture started to become popular in the 1970’s, the American Medical Association (AMA) pressured the FDA to ban acupuncture needles unless used in a research protocol. Control issues remain to this day. For example, the NIH Consensus Conference mentioned above concluded that acupuncture should only be used after a patient sees a MD, ignoring a training differential in which physicians can practice the therapy after 200 hours of training while non-MDs must train three years in an accredited school of oriental medicine. In another example, founded largely to fight homeopathy, the AMA did everything in its power to squash the discipline. In spite of growing evidence, including double-blind clinical trials, supporting homeopathy’s use, dogmatic opposition continues to this day as documented by a state medical board revoking the license of a homeopathy-practicing physician. In a final example among many, chiropractic has historically faced vociferous opposition from organized medicine. This opposition lasted until a 1987 federal, anti-trust ruling found the AMA guilty of a prolonged, systematic attempt to completely undermine the chiropractic profession, often using highly dishonest methods. Many alternative therapies involve paradigm-expanding perspectives not well appreciated by bioscientists, who feel that physiological phenomena must be explained through biochemical mechanisms that they understand. For example, bioscientists dismiss homeopathy because it can not be comprehended pursuant to traditional biochemical principles. It required physicists, who understood quantum physics, chaos and complexity theory, etc. Similarly, acupuncture’s life-force qi energy was beyond the pale of Western scientific thought, yet it is now being explained through subtle electromagnetic-energy effects. In addition, for many alternative therapies, the specific treatment is based upon the patient’s unique symptoms and not the disorder’s name. Nevertheless, in numerous studies, scientists have ignored this underlying precept and have given the same intervention to all subjects in the treatment group instead of individualizing the treatment according to symptoms. When the results came out ambiguous, they questioned the therapy instead of their methodology. Although alternative therapies are often criticized for being scientifically untested, relatively little money has been provided for such testing. For example, NIH National Center of Complementary and Alternative Medicine’s program for evaluating alternative modalities represents less than half percent of NIH’s budget. Given alternative medicine’s immense popularity as noted above, it is a huge budgetary discrepancy and makes one wonder how relevant NIH truly is to real-world healthcare. When Congress forced NIH to establish the Center, it was initially named the Division of Unconventional Medical Practices, which, given the bureaucratic importance of acronyms (i.e., “DUMP”), suggested its relative importance in NIH priorities. An Integrated Future for Health Care? There is not one system of medicine that is good and one system that is bad. To varying degrees, most have something positive to offer. Ideally, 21st century medicine will integrate the high technology, scientific reductionism perspectives of conventional medicine and the naturalistic, holistic perspectives of alternative medicine. Like yin and yang, they should be complimentary not exclusive. For example, high-tech conventional medicine works best in the diagnosis and treatment of problems in specific anatomical and physiological structures, and, as such will be especially useful in emergency care and the care of people in the advanced stages of illness. Because more naturalistic alternative medicines will augment an individual’s inherent healing potential, they will be especially effective in treating chronic illness and maintaining health.